My battery charges while driving and w/solar but not when plugged in. Is there a fuse between the plug in or other reason power is not getting to the battery? Check to see all of those circuit breakers are switched to "on" and aren't tripped. I assume you're talking about the aux/house battery correct? What charger do you have? Some builds use an inverter/charger and some have converter/chargers. Make sure that is getting power. On mine I have to select charge on the inverter control panel to start the charging cycle but I have seen some builds where a maintenance charger has been used. And as mentioned check your breakers and GFI. Thank you for your responses. The circuit breakers do not seem to be tripped which is why I wondered if maybe there was a fuse in the line after the breakers. I do admit I do not always turn off the breakers when plugging in. I’ll look to see if I have an inverter or converter charger. Any other ideas or thoughts are appreciated! Consider adding your location to your profile. If you are nearby to one of the forum members, perhaps someone close by can help troubleshoot. 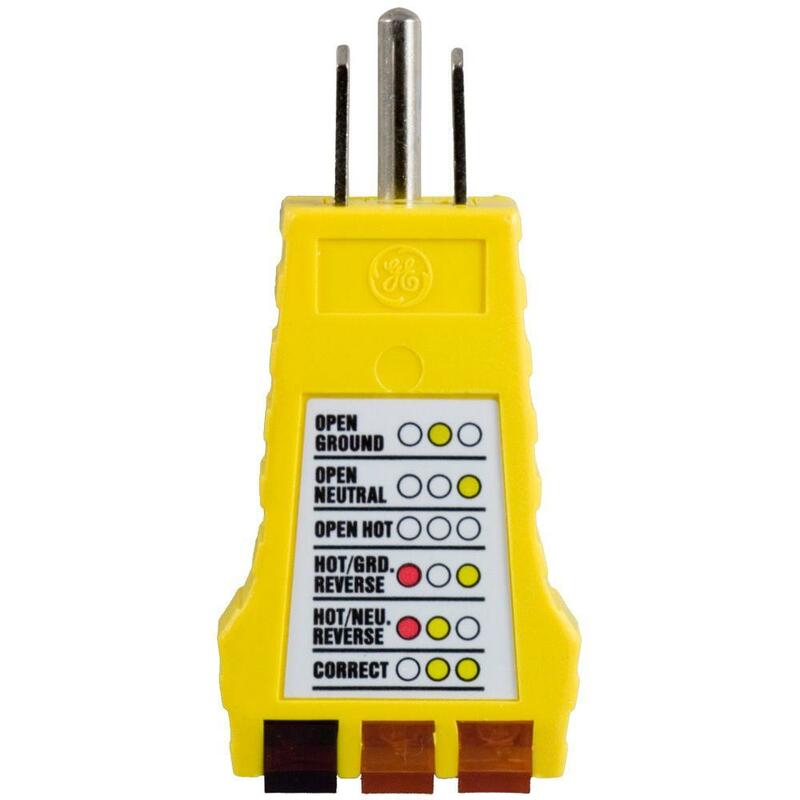 Depending on what unit you have, there may be an onboard fuse or fuse reset button that may have been tripped by having live breakers when plugging in. To follow up with what others have said it depends on what kind of system you have. Here is a diagram that shows a standard spotsmobile with a power converter. As you can the power converter plugs into an outlet that is wired into the wall receptacles. That receptacle may be a GFI version or will be downstream of a GFI receptacle. If the GFI has tripped you have to make sure you have power to the GFI receptacle in order for you to reset it. 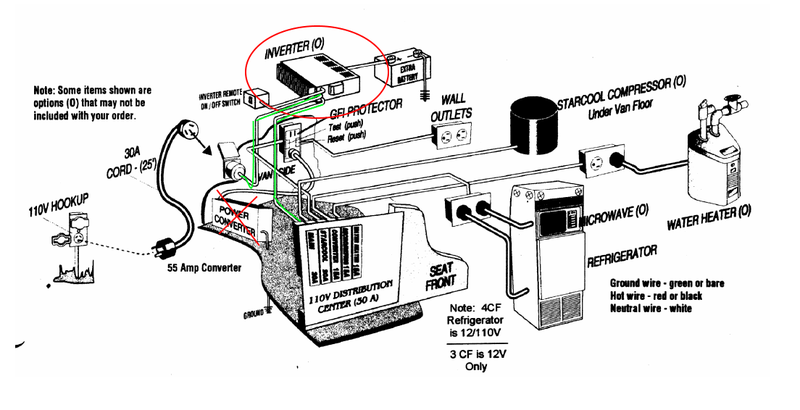 In the case of an inverter/charger you have a differnet setup. Because the inverter has an internal transfer switch the 30 amp shore circuit goes directly to the inverter and from the inverter to the 30 amp breaker on the 110 distribution system. Note, they still show a power converter in this diagram, but you should not have it. In this case there are most likely circuit breakers that need to be reset on the unit. If you can identify the unit, I can most likely help out with which one it may be. I suspect you have a converter and the GFI is the culprit, you can always get one of these at your local home depot to test your outlets. If you have a converter the easiest thing to do is use a good extension cord and unplug from the van and plug directly into extension cord from your house. If it now starts to work , you work backwards from there.